LGR’s Australian office was proud to announce today that the new CDRlive site at Vodafone Fiji has gone live. The project has been undertaken in partnership with Emagine International, which provided the Campaign Management solution that resides alongside the CDRlive data warehouse, together forming a single, best-of-breed system for comprehensive customer experience management. 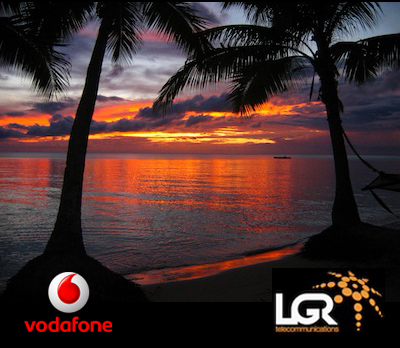 While one of the smaller networks in the Vodafone Group, the Fijian operation faces familiar challenges as it’s market opens up to ever-more competitors, and it chose the LGR-Emagine solution as a means to maintain its competitive advantage as well as drive new projects in areas such as customer loyalty, new revenue stimulation and churn management. Avanthi Senarante, the Chief Marketing Officer at Vodafone Fiji, was clear as to why they chose the LGR-Emagine partnership. “We selected LGR and Emagine because of their vast industry experience around the world,” she said, adding that Vodafone had been “particularly impressed with the results that LGR and Emagine have delivered from previous projects with other large carrier.” LGR and Emagine have also had strong, successful partnerships at Telstra in Australia and True in Thailand. While the system is still in it’s infancy, Vodafone Fiji has already achieved some respectable results with its first few marketing ventures. For example, a recent campaign targeted at prepaid subscribers most at risk of churn produced a 280% increase in customer retention rates, to say nothing of the obvious positive impacts to the bottom line.